I first enjoyed the Fish Eye Pinot Grigio in 2009 with my fellow wine bloggers at our annual conference (and wrote about that experience here). It was a humbling moment for many of us, who were a bit sniffy about the wine based on the cute label, its availability in large-format bottles and boxes, and because it was Pinot Grigio. There is a lot (and I do mean a lot) of terrible, cheap Pinot Grigio out there. So much of it, in fact, that I've stopped ordering it in restaurants. So it is with great pleasure that I report that the 2011 Fish Eye Pinot Grigio still has a suggested retail price of $7 (though you can find it in the market for prices between $5 and $10), it is still delicious, it is still widely available throughout the country, and it is still excellent QPR. Expect zesty, pure lemon and lime aromas and to have those scents echo through the flavors. You might detect a nice peachy note as you sip, which takes off some of the bitterness that can be associated with Pinot Grigio. 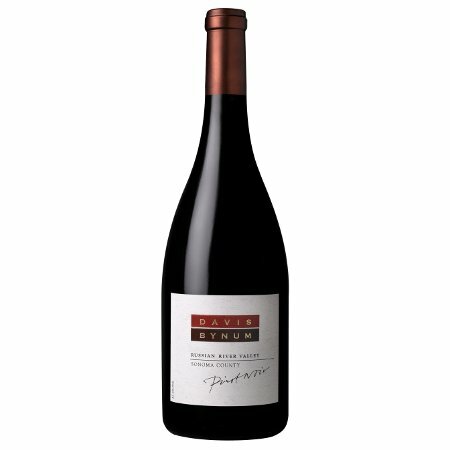 This is a versatile, food-friendly wine that is light enough to pair with vegetables and salads at a weekend lunch, will be a great companion to asparagus and lemon pasta as you work your way into your spring recipes, and will be welcome at summer barbeques so if you see some on the shelf give it a try. Full Disclosure: I received a sample of this wine for possible review. Wine is an adventure. At least that's what I've always thought. So many grapes. So many styles. So many countries to visit--even if it's only through the liquid in your glass. So when one of my favorite addictions--er, on-line retailers--Garagiste up in Seattle offered a three-pack of Slovenian whites to try, I jumped at the opportunity. The three-pack cost around $45, which meant there was a $15 investment per bottle for a Riesling, a Chardonnay, and a Sauvignon Blanc. Recently, I opened up the Sauvignon Blanc and was extremely pleased at my first foray into Slovenian wine. You might not think "Slovenia" and "Sauvignon Blanc" in the same breath, but there's no reason why you shouldn't do so. Most parts of the globe have a history of wine-making, and that includes central Europe. I had some amazing Merlot when I visited Prague, and have enjoyed some wonderful Romanian wine here on the blog, and one of my all-time-favorite wines from Trader Joe's comes from Hungary. As for Slovenia, they have a venerable viticultural tradition that goes back to pre-Roman times (check this site for more information). So don't be afraid to try wine from regions you may be unfamiliar with, as they often represent very good value, as in this very good QPR example. 2008 Marof Sauvignon Blanc ( purchased in a three-pack from Garagiste; available in the market for around $11) This terrific Sauvignon Blanc had tart lemon pith, gooseberry, and lemongrass aromas and flavors. It was very clean and precise, without being overly herbaceous. 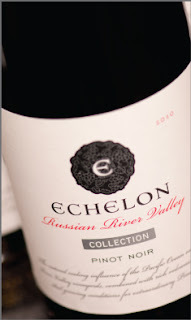 A nice balance of fruit and acidity made it an ideal partner for food, and you can't complain about the price! It would be excellent with all kinds of dishes, from salads, to fish, to roasted chicken with lemon. We had it with a soup made with ancient grains and vegetables, and the lively acidity was a lovely counterpoint to the earthiness of the kamut and lentils, and picked out the bright tarragon herbal notes. There are all kinds of Cabernet Sauvignon out there. Some are too fruity for me. Some are too green. Some are too expensive. Some are too huge, with big alcohol and palate-punishing tannins. I like my Cabernets to have a classic profile: plum and currant in the fruit department, pepper for spice, and enough acidity that I know I'm not drinking watered-down jam. Here are three bottles that fit my preferences--and none has a suggested retail of more than $15. If you like your Cabernets big and bold or fruity and sweet, these wines may not appeal to you. But if what you're looking for is a wine that shows the grape's varietal character and an appealing price point, give one of them a try. 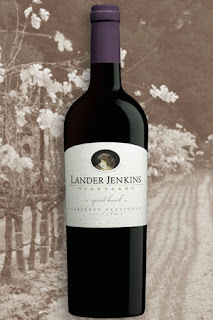 2009 Lander Jenkins Cabernet Sauvignon Spirit Hawk (suggested retail $15; available in the market for $7-$15) Rich plum aromas characteristic of this grape variety lead into a plummy palate with notes of mocha and eucalyptus. Though the tannins are fine-grained, they have a nice grip that will be appealing to lovers of more brawny wine. Excellent QPR. 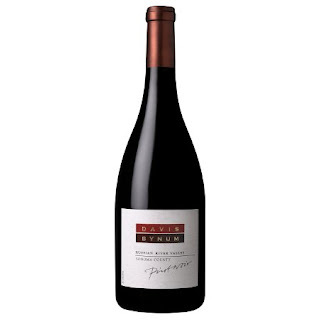 2010 Robert Mondavi Winery Cabernet Sauvignon Private Selection (suggested retail $11; available for $8-$12 in the market) This wine has classic aromas and flavors of cassis, plum, herbs, and green pepper with smooth, well-integrated tannins. This will not necessarily appeal to fans of hugely fruity Cabernets, but if elegance is what you're after, you can't do better than this for $11. Excellent QPR. Classic pairings for Cabernet Sauvignon include burgers, roast beef, grilled steak, and (a personal favorite from my childhood) Pepper Steak. If you're a vegetarian and want something to go with Cabernet, look for a recipe that uses rosemary like this white bean and rosemary soup recipe (sub veggie stock for the chicken stock). Rosemary and Cabernet are a match made in heaven! If you are fond of aromatic food--including Thai, Moroccan, or Indian dishes--you might find them difficult to pair with wine. All those spices can overwhelm an ordinary white or red, and very tannic or very acidic wines can clash with what's on your plate. Often, I recommend Gewurztraminer or Riesling when there are lots of spices in a recipe (and I mean spicy, not necessarily hot). There is another good option, however: Viognier. The grape is well-known among Rhone wine lovers, but may not be something you've tasted. Intensely aromatic wines made with Viognier can be wonderful with their floral scents and full-bodied texture, but there are many examples (especially inexpensive bottles) that taste a bit too much like dish detergent and feel waxy in the mouth. So I'm really pleased to have discovered this excellent QPR option for those of you who would like to try something different in the white wine department. Try it with something like this one-pot chicken and chickpea tagine with bulgur (also from Mark Bittman...I'm on a Bittman kick these days). 2010 Wild Horse Viognier (suggested retail $17; average online price also $17) This wine is an excellent example of what Viognier can be, with lemon pith and honeysuckle aromas and flavors. Its stony core keeps it from getting sweet and sappy, and there is a liveliness in the mouth. Expect a nice interplay between the fruit and flower elements. This bottle would pair well with spicy chicken dishes, anything that uses lemons, Moroccan food, and Indian food.